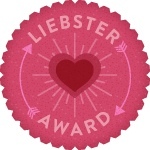 My First Blog Award: Liebster Award!!! I have been awarded my first ever Liebster award by the very lovely and cute Shilpa from Our External World. Her blog has become a must read for me cause I just love her writing style and the amazing information she shares with all of us. Thanks so much Shilpa !!! I would like to thank all of you for reading my blogs and making this possible. Hey Supriya, Swathi has graciously declined the award and hence I am nominating you for the Leibster award. All the best!! !